The Wightlink sponsored Club had a young and relatively inexperienced team afloat several making their racing debuts for the Club – but produced an encouraging set of results. 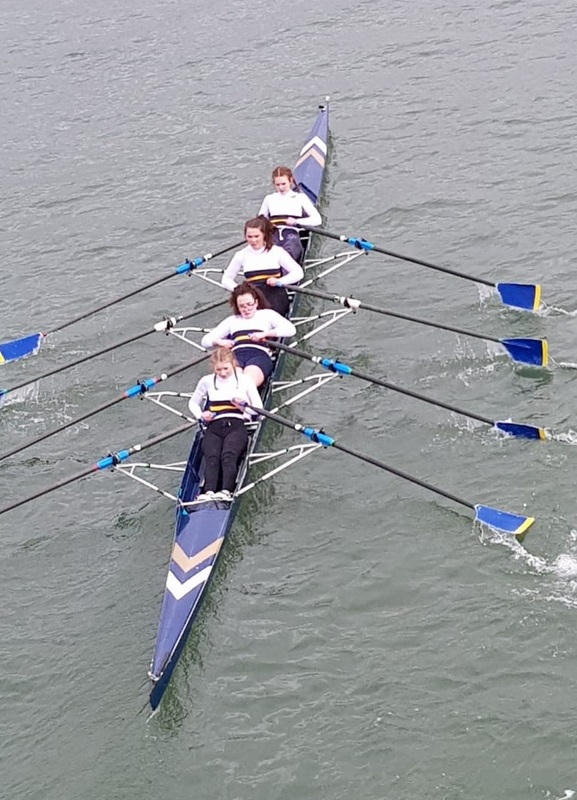 Ryde Rowing Club competed in their first event of the season on Saturday – the BTC Rowing Club’s Coastal and River Head of the River Race. The event was raced over two divisions over a three and a half mile course on the River Itchen, Southampton raced in reasonably good conditions. The newly formed Men’s Novice Four of Paddy Kearney, Jonah Lewin, Charlie Walford and Gulliver Roghan coxed by Dan Sanderson competed in the first division in a river four finishing in second place. 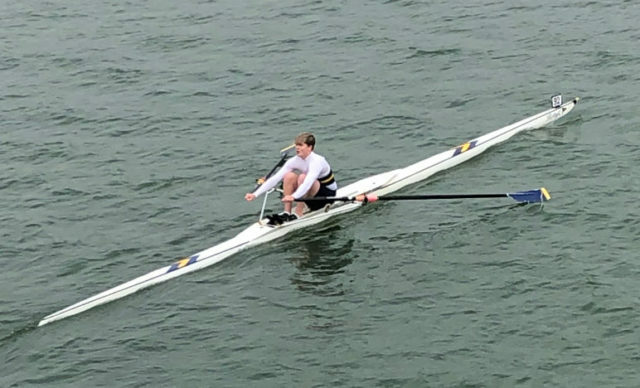 Also racing in division one was Harry Jones in his first race as a Coastal Novice sculler and did well to finish in third place in his event. In the second division, a very young Girl’s Four of Poppy Starkey, Freya Drage, Niamh Edwards and Emily Davis and once again coxed by Dan Sanderson competed in the Girl’s J16 Coxed Quad – racing above their age group – and did exceptionally well to finish in second place. 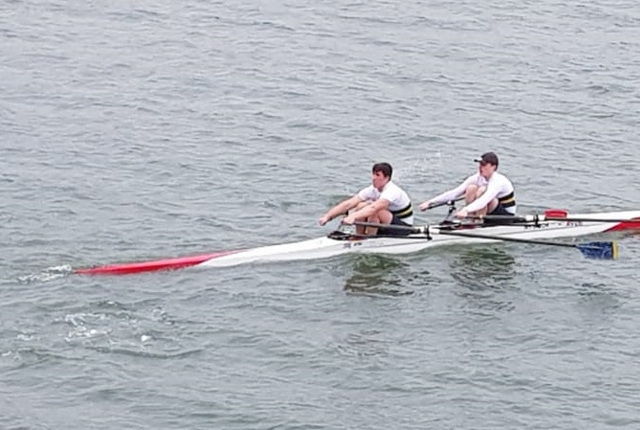 The Club’s Coastal Junior Four had made the decision to race in small boats as they completed their winter training cycle – with Tom Starkey and Ben Sanderson racing in the open men’s double where some steering difficulties led to a fourth place finish. Austin Smith and Tye Cameron raced in the Men’s Novice Sculls in River boats with Austin finishing second and Tye third.